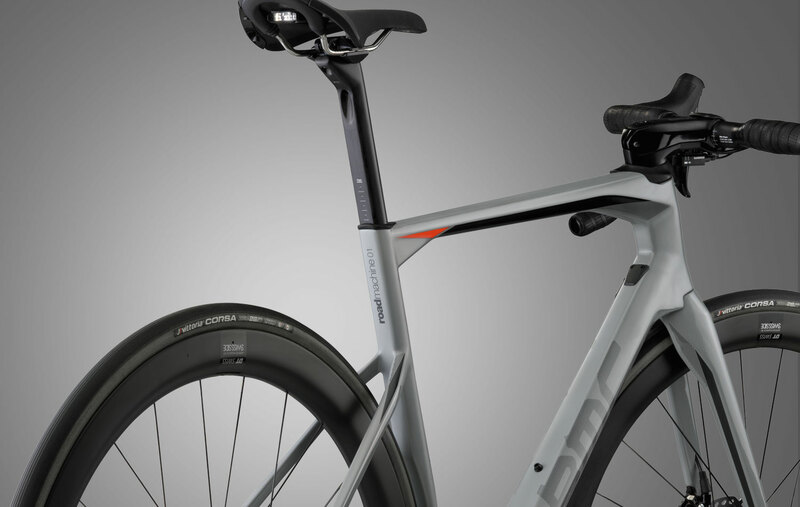 Revolt against the usual performance bike categories. The cockpit of the top-shelf RM01 version of the Roadmachine features an integrated stem and headset, fully housing all cables for a clean look. The proprietary stem is available in five different lengths, and the front end can be stacked at two different heights – high or low – for a machine dialed in exactly the way you want it. 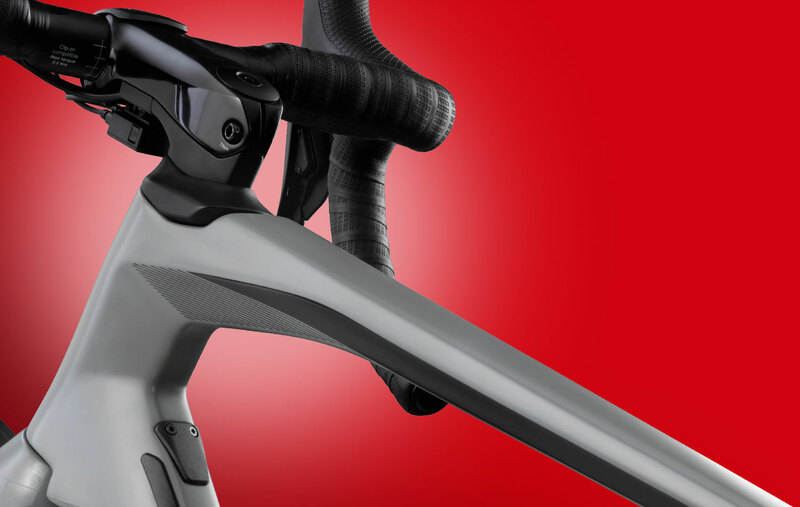 The 2018 BMC Roadmachine features the proprietary "D" seatpost, designed with a focus on shock-absorption. The post soaks up all the bumps and bruises in the road before they reach your back, and it looks going doing it, slotting into an integrated seatpost clamp in the Roadmachine frame. While the Roadmachine frame filters out the road chatter for a smooth ride, the bike’s wheels and axles are loyally reading every millimeter of the road. Thru-axles both front and rear are longer and wider than traditional skewers, providing a stout, planted handling profile while providing ample feedback to the rider for excellent confidence and control. The 2018 Roadmachine will be immediately identifiable as a BMC, but look closely, and some differences compared to other models. One is called Angle Compliance Shaping. 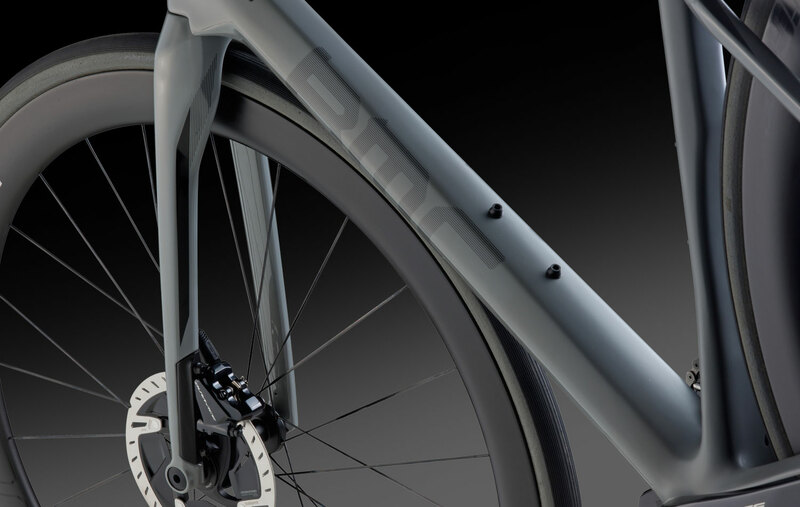 You’ll see it in some of the frame’s junctions – areas of the bike where impacts tend to "collect" have been angled to improve shock absorption, reducing stress on both human and bike, and creating an amazing ride. 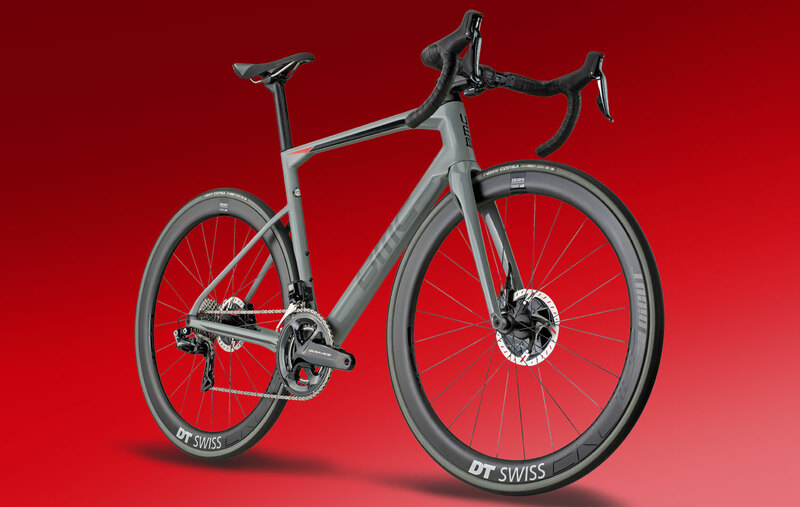 Have questions about the 2018 BMC RoadMachine?